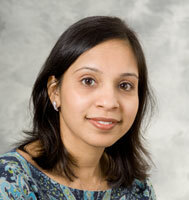 Dr. Patel is board certified in Pediatric Hematology/Oncology. She specializes in the care of children with cancers, brain tumors, and tumors associated with neurocutaneous disorders. Dr. Patel has clinical research interests in neurooncology and neurocutaneous disorders.